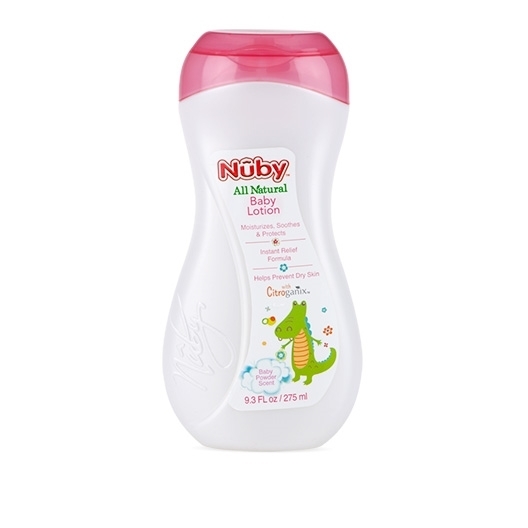 Nûby™ All Natural Baby Lotion is formulated with you and your child in mind. Unlike most other lotions, Nûby™ uses only All Natural ingredients that moisturize the skin leaving it to feel soft, smooth, and non-greasy to the touch. When using Nûby™ products, you can be confident that your child is not being exposed to harmful chemicals.